Free shipping. Buy direct from HP. 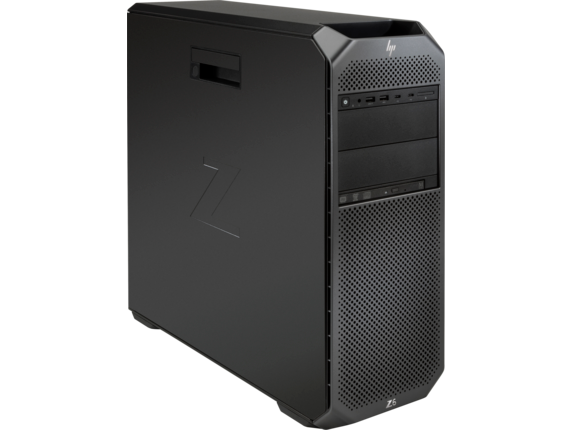 See customer reviews and comparisons for the HP Z6 G4 Workstation - Customizable. Upgrades and savings on select products. Invest only in the technology you need today, and easily upgrade in the future. Scale up with a broad range of configurations from single or dual processors to multiple graphics cards. Take on demanding workloads with high-powered processors, professional graphics and 384 GB of memory. Experience seamless performance during graphics-intensive work, such as visual effects and design visualization. Advanced security features come standard on every Z6. Rest assured your device, identity and data are safe with security software like HP Client Security Suite  and HP Sure Start, the industry's first self-healing BIOS with intrusion detection. Advanced security features come standard on every Z6. Rest assured your device, identity and data are safe with security software like HP Client Security Suite and HP Sure Start, the industry's first self-healing BIOS with intrusion detection. With an unforgettable design that makes a bold statement in any workspace and the performance power to heighten your productivity, the HP Z6 G4 Workstation unlocks more possibilities than ever to help you stay ahead. This workstation was engineered from the ground up to handle even the most demanding design and editing programs to make your work easier and more manageable. With the rapid rate at which new technology advancements become available and require more horsepower, you need to be sure your device is up for the task. 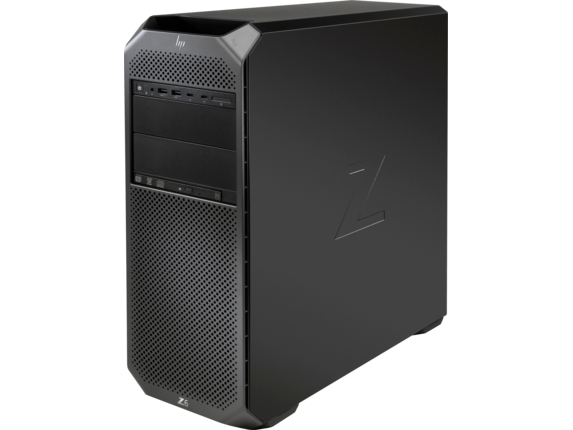 The HP Z6 Workstation is built for effortless expansion and upgradability. Increase the number and type of processors, graphics cards, and more to ensure that your desktop always has exactly what you need to keep you moving forward. Beyond its distinguished and professional design that fits beautifully into any workspace, this computer contains some of the most advanced hardware in the industry to deliver one of the best experiences available. Underneath the hood of the HP Z6 Workstation is a symphony of processor, graphics, and memory options that work together to deliver unparalleled perfection. Choose the perfect fit for your needs among the latest Intel® Xeon® processors to achieve outstanding response and performance, even when multi-tasking with demanding VFX and design programs. A wealth of graphics options gives you more choices so you can get exactly what you want. The standard NVIDIA® QUADRO® P600 Graphics with 2GB GDDR5 graphics memory delivers beautiful textures, color, and detail. For those looking for the pinnacle of quality, the NVIDIA Quadro P5000 (16GB) Graphics Card is one of the most advanced solutions available for your HP Z6. The card brings your designs and rendering to life with a newfound degree of detail and can also power your virtual reality setup with improved visual quality and framerate. The best graphics card needs the best display to truly represent its potential. Connect your HP Z6 G4 Workstation to the HP EliteDisplay E273 27-inch Monitor for a stylish, dazzling solution. It boasts 1920 x 1080 pixels in Full High Definition (FHD) and a sleek design that stretches the picture to the very edges of the display to provide exceptional visual quality. And when it’s paired with the incredible NVIDIA graphics card, this crystal-clear monitor makes your work look its absolute best. Give your hard work the perfect platform with a desktop designed from top to bottom to deliver outstanding results every time. 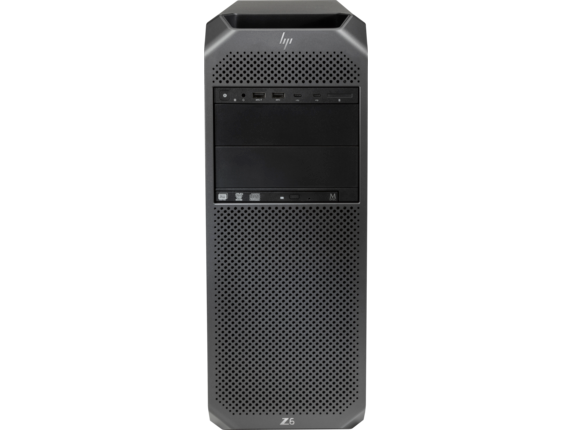 Packed with security features, processing options, amazing graphics, memory, and more, the HP Z6 G4 is in a class of its own. Make your work shine and enjoy a truly extraordinary experience with a desktop that has everything you need to stay on top.